Another added bonus to moving your day to Friday or Sunday instead of Saturday means you might be able to find deals and sales with the vendors you prefer. Holding your wedding on a holiday is another great idea, this not only guarantees that your guests will have the time off work, but it also means that a Sunday wedding on a four day weekend is just as good as a Saturday wedding. Some of the best holidays to plan a holiday wedding around are: Easter, Victoria Day weekend, Civic Holiday, Labour Day weekend, and Thanksgiving. These holiday weekends give you the choice to marry on the Friday or the Sunday. And if you research hotels that are normally busy with business travellers through the week, you’ll likely find a much better room rate for your wedding guests. Another cost saving idea is to marry through the week, especially on a day or holiday that you love or maybe you want to marry on the same day your parents or grandparents did. The only drawback is you may not have as many guests attend if you choose to marry on a Wednesday instead of a weekend day. However, if you’re looking to slim down your guest list to a handful of close friends, this is a great way to invite more guests than you actually expect –or want– to attend your wedding. 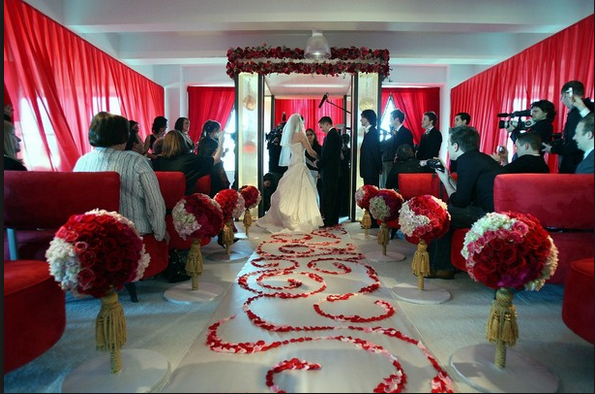 So if you have always dreamed of having a Halloween wedding, go ahead and plan it! Why can’t you have your wedding day on a day that means something to you? These days will save you money and have a special meaning for you and your spouse.